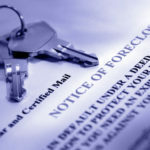 Do you want the best foreclosure lawyer? Our New York foreclosure defense attorneys have achieved numerous loan modifications for our clients, reducing the monthly mortgage payment. These are real results secured for struggling homeowners who were behind on their mortgage payments. We have achieved loan modifications with numerous servicers including Bank of America, Caliber Home Loans, CIT Bank, Carrington Mortgage Services, CitiMortgage, Fay Servicing, HSBC Mortgage Services, JP Morgan Chase Bank, M&T Bank, Midland Mortgage Company, Nationstar Mortgage, Ocwen, OneWest Bank/Indymac, PennyMac Loan Services, PNC Bank, Select Portfolio Servicing, Specialized Loan Servicing, US Bank and Wells Fargo Bank. Click on the links below to see some of our results. 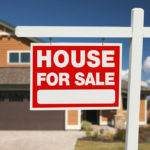 Our Queens foreclosure lawyers have helped many homeowners stop foreclosure and auction sale by filing an Order to Show Cause in Supreme Court. Click on the court orders below to see some of our results. 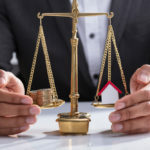 Call us today if you have received a notice of sale or have an active foreclosure, our real estate lawyer in Queens will guide you through the process of defending your foreclosure, stopping your sale, and negotiating a short sale or mortgage modification.